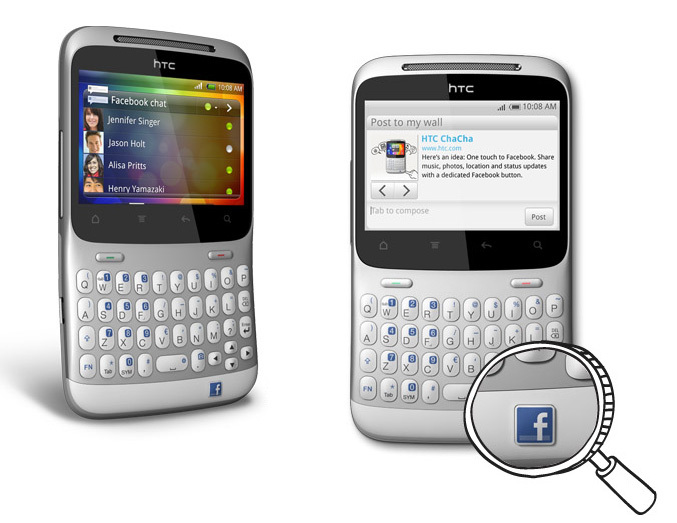 HTC has revealed another pair of Android smartphones that are the first mobile phones with a dedicated Facebook button – HTC ChaCha and HTC Salsa. 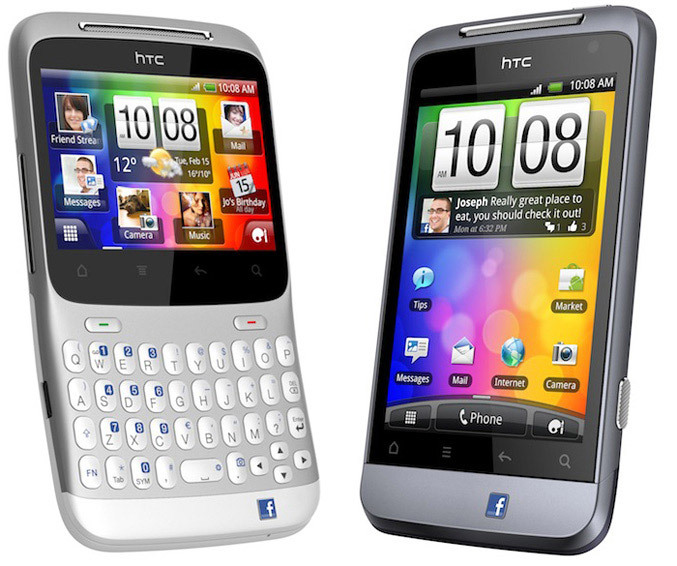 The new phones comes with Android Gingerbread 2.4 and use the latest iteration of HTC Sense, allowing you to see your friend’s latest status, photos and birthday when you make or receive phone calls from a Facebook friend. 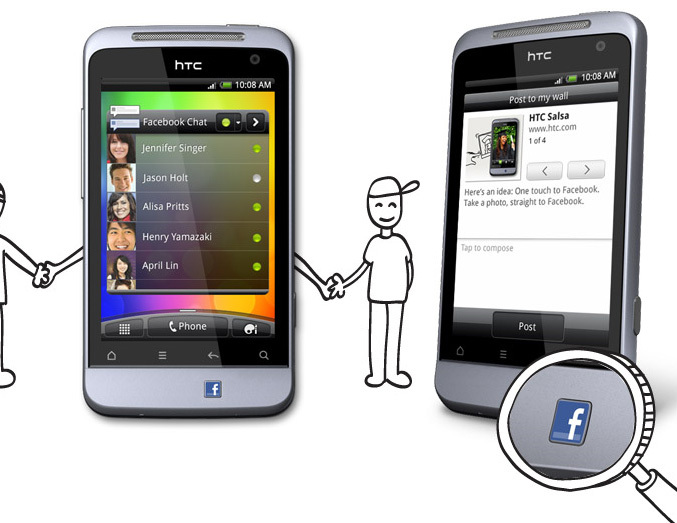 The Facebook button on HTC ChaCha and HTC Salsa is context-aware, gently pulsing with light whenever there is an opportunity to share content or updates through Facebook. 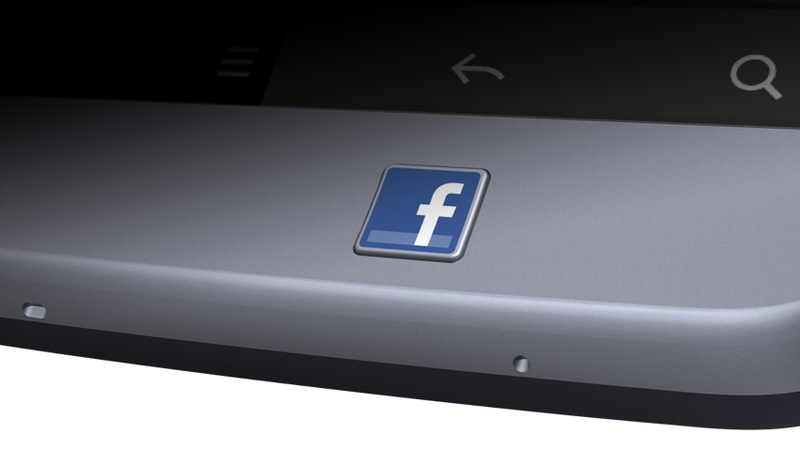 With a single press of the button, you can update your status, upload a photo, share a Website, post what song you are listening to, ‘check in’ to a location and more. 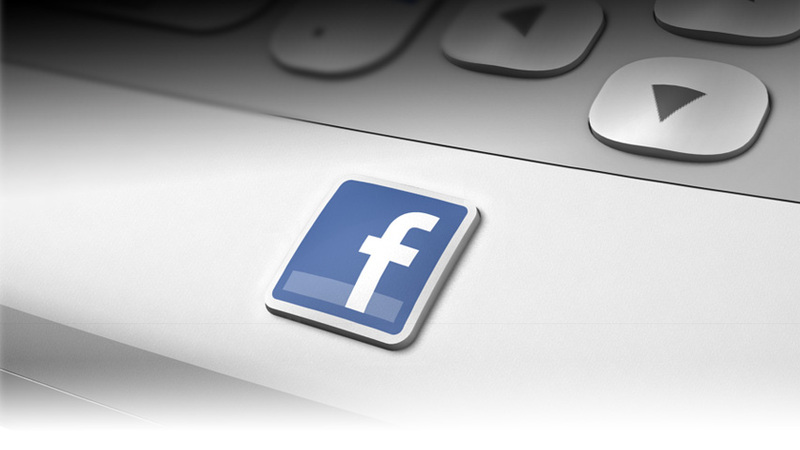 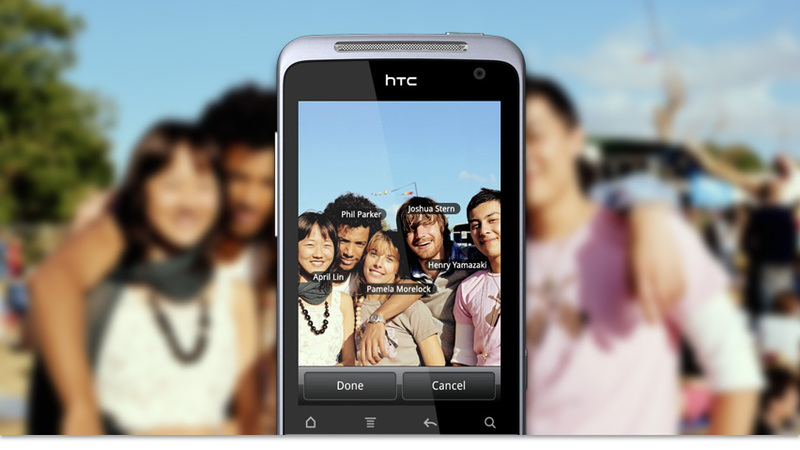 User can also take a photograph of friends on their phone upload it instantly to Facebook by simply pressing the button. 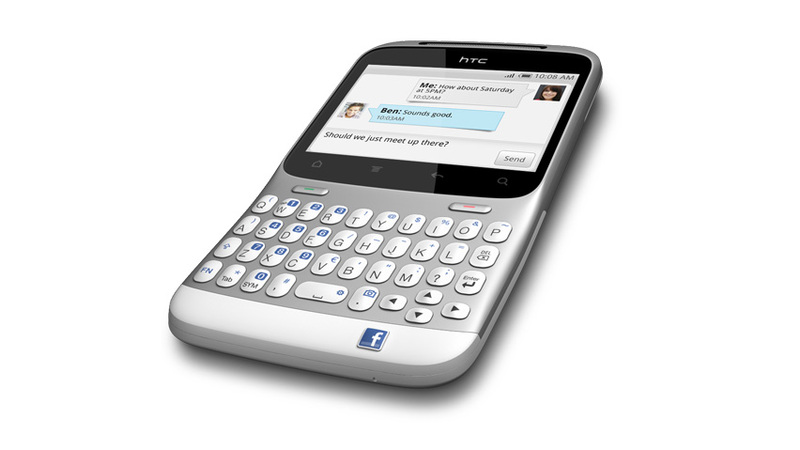 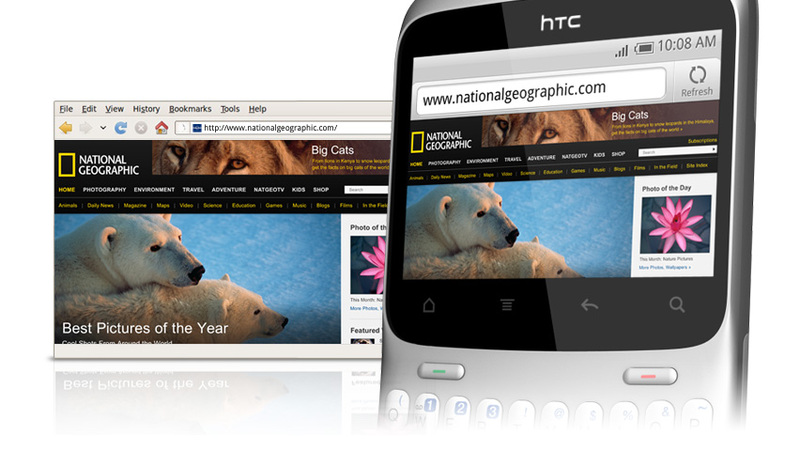 The first, HTC ChaCha packs a 2.6-inch (480 x 320) touchscreen along with full four-row QWERTY keyboard in a body that measures 114.4mmx64.6mmx10.7mm and weighs 120 grams. 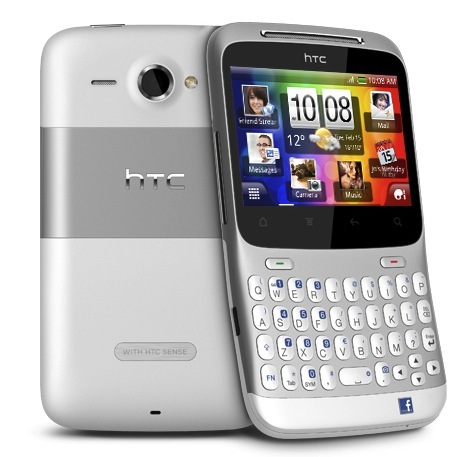 It is powered by 600MHz Qualcomm MSM7227 processor, has 512MB of RAM and same capacity ROM. 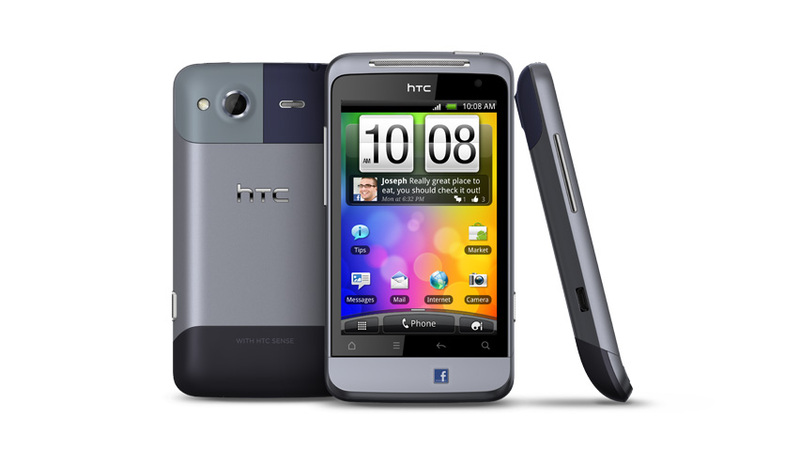 Connectivity includes quad-band GSM/GPRS/EDGE, Dual-band 3G WiFi b/g/n, Bluetooth 3.0 and GPS. 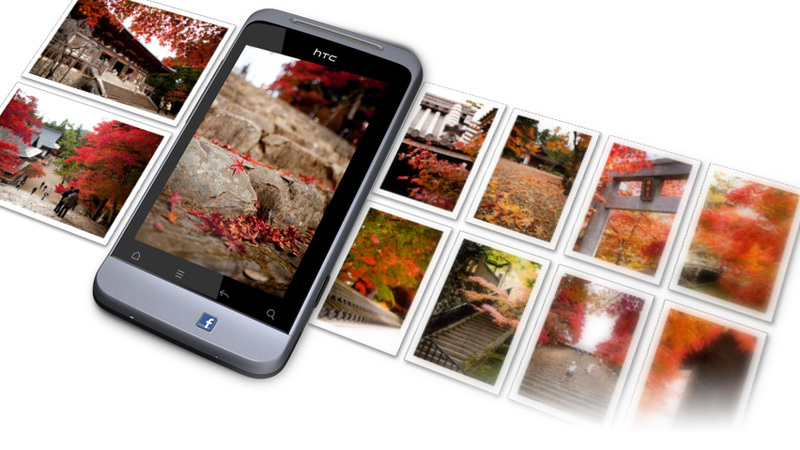 For capture special moments m, it offers dual cameras, a 5-megapixel with auto focus and LED flash and a VGA front-facing camera. 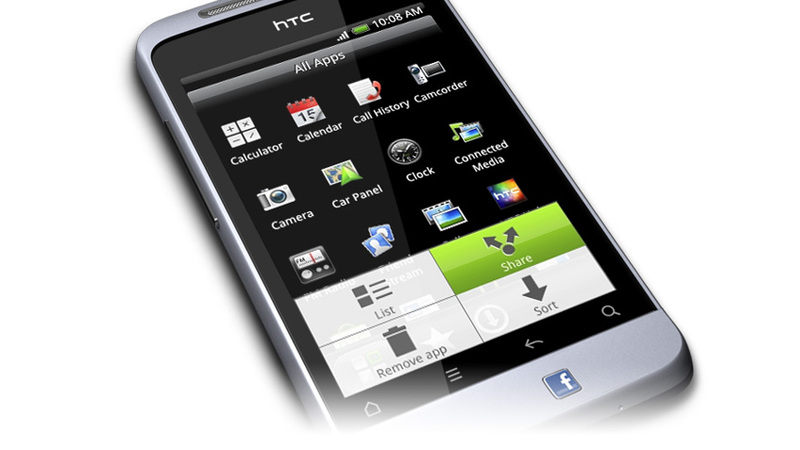 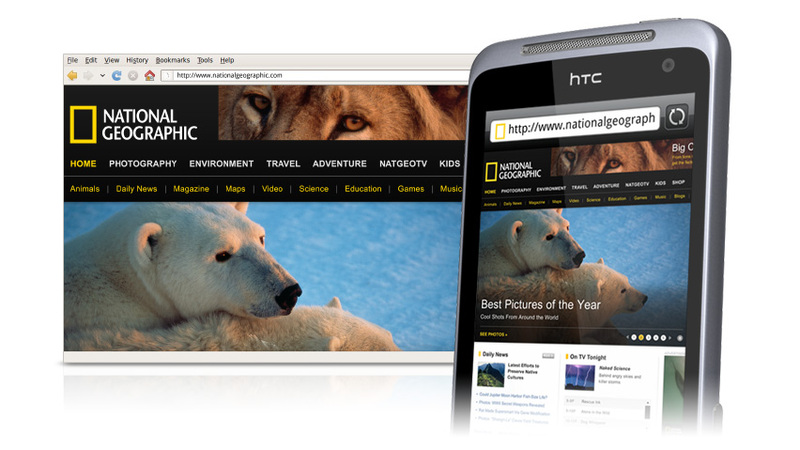 The HTC Salsa measures 109.1mmx58.9mmx12.3mm, weighs 120grams and has 3.4-inch touch screen with 480 x 320 resolution. 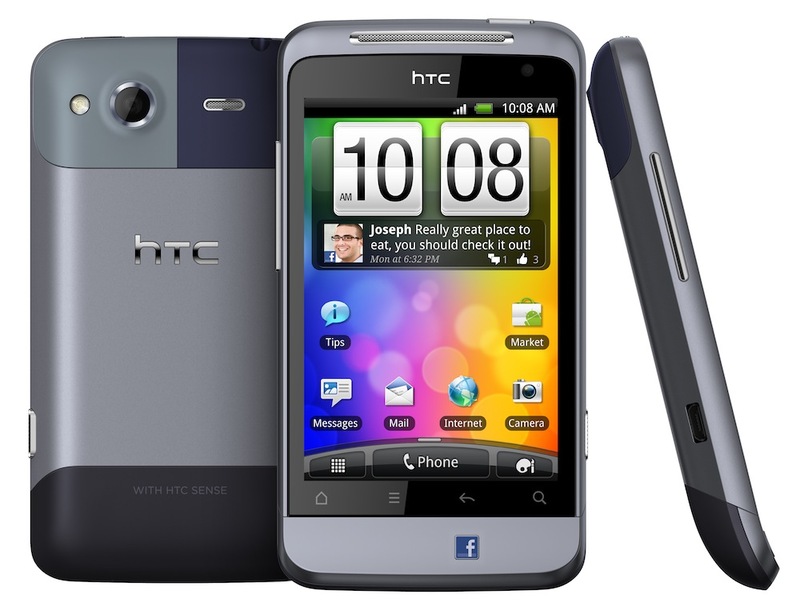 It is also boosted by 600MHz Qualcomm MSM7227 processor and has 512MB RAM and ROM. 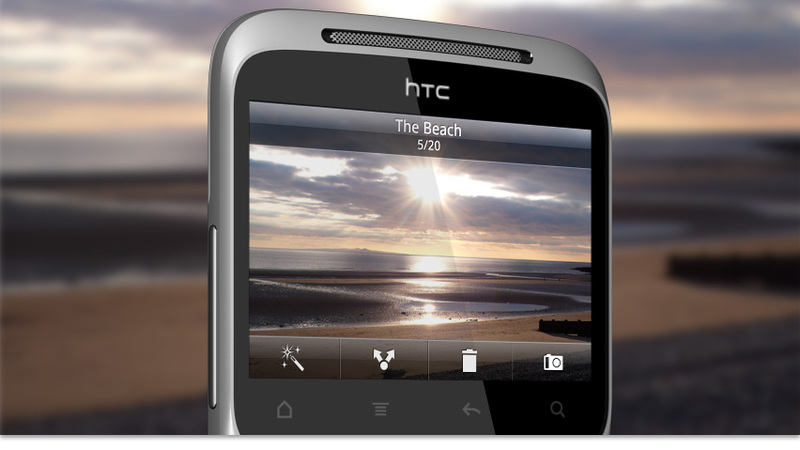 A 5-megapixel camera with auto focus and VGA front camera, as well WiFi b/g/n, Bluetooth 3.0 (lacks of GPS), microSD and 1520 mAh Lithium-ion battery. 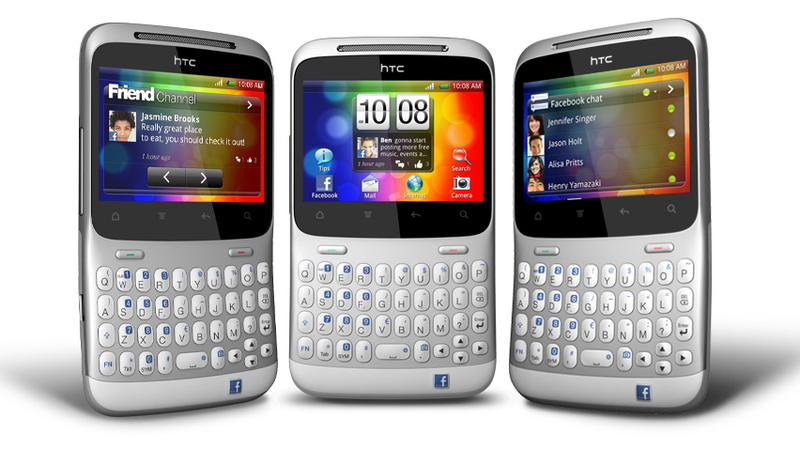 The HTC ChaCha and HTC Salsa smartphones are expected to become available in European and Asian markets during Q2 2011m while in the United States they will be available exclusively at AT&T later this year.